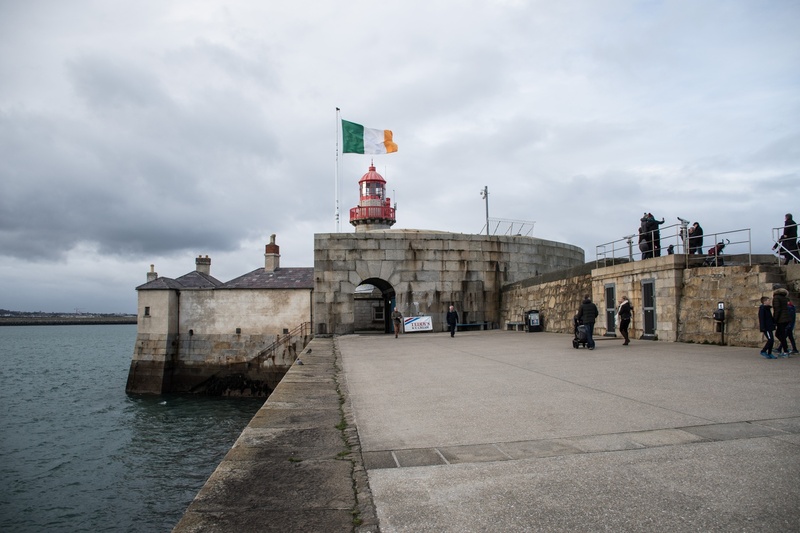 UPDATED: February 20, 2018, at 5:41 p.m.
T he de facto national color of Ireland is green—it’s known colloquially as the “Emerald Isle.” Green is in our national flag, we tote it on sporting grounds around the globe, and it tints the pages of our passports. Walk around Dublin or Boston or Chicago on St. Patrick’s Day and it’s the only color you’ll see. Our longstanding tradition of agriculture (and persistent rain) means much of the island is covered in well-watered, fresh grass all year round. 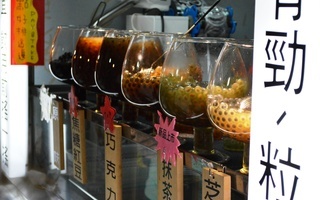 The association between my home country and this rich, eye-catching hue is inescapable. But I am not a child of those vast, rolling fields that make up Ireland’s patchwork quilt of verdant farmlands. 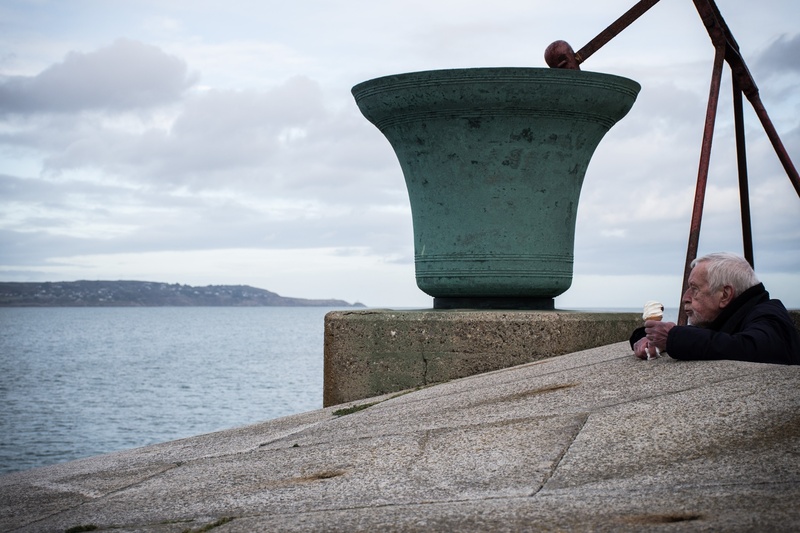 I was born and raised in Dún Laoghaire, a suburb about twenty minutes south of Dublin city, where the coastline and urbanization instead produce a palette of blues and greys. 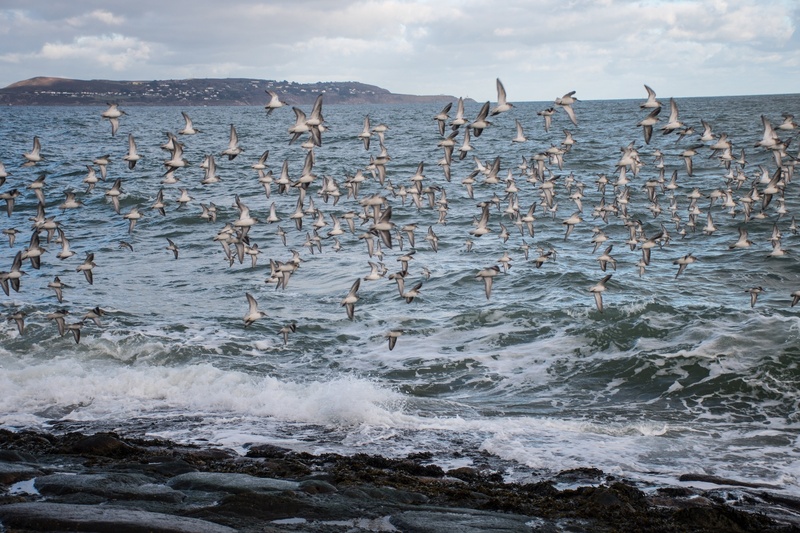 I don’t believe Dún Laoghaire is quite what my friends abroad imagine when I talk about home, but this is what Ireland looks like to me. 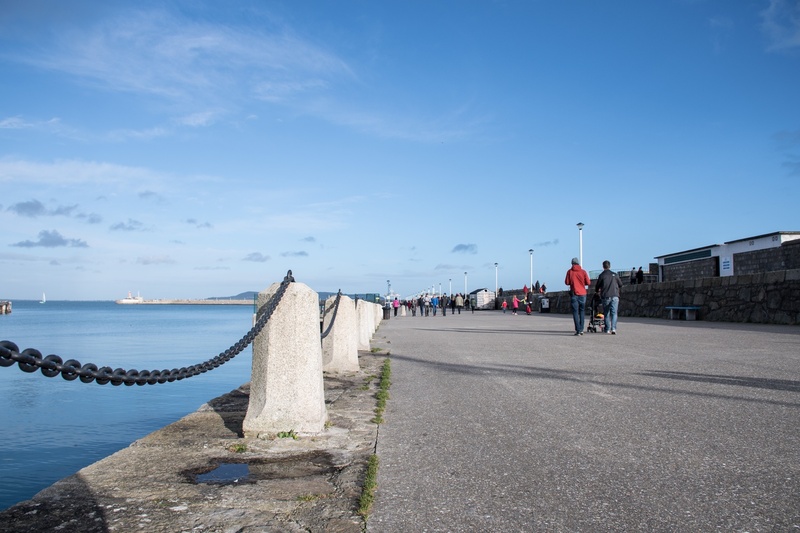 There is a great tradition of walking for walking’s sake in Dún Laoghaire. At any time of the day, especially on the weekend, there is always someone out for a stroll on the East Pier (the better-maintained of the two piers that enclose the harbor). When I meet my friends from school to catch up after another year away, we take it for granted that we’ll hit the pier at some point. In my final term of secondary school, I’d take a walk here with my dad as the sun set over the town, allowing the fresh air to clear my head. 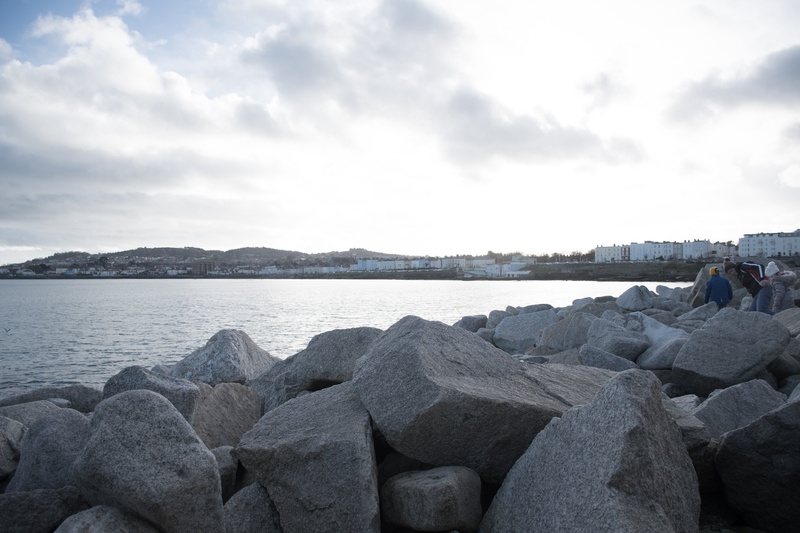 Venturing out to the exterior side, I’m greeted by the large rocks that protect the pier from the often wild waves of the Irish Sea, as well as a view of the coastline extending up to the villages of Sandycove, Glasthule, and Dalkey. 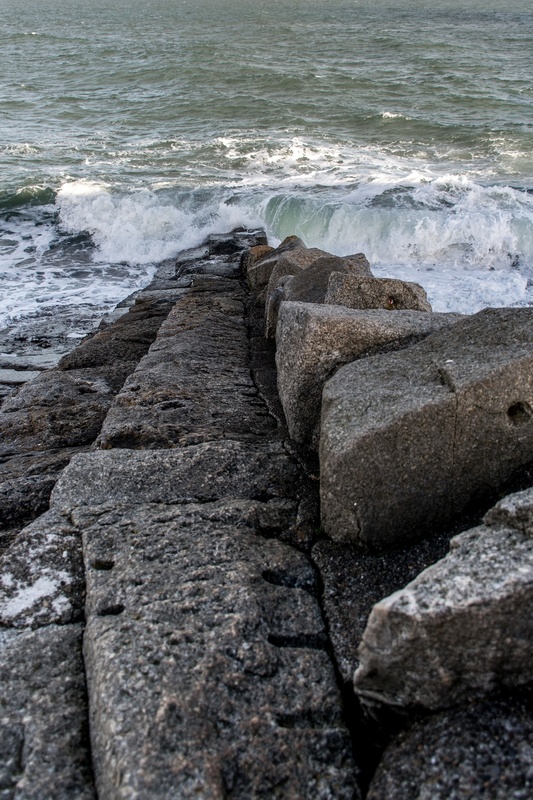 As a child I was a little too fearful to climb on the rocks, tempting as they seemed. My younger brother never had such qualms. At the end of the 1 kilometer stretch is a lighthouse, which was only opened to the public in recent years. Inside is an ice cream shop, an offshoot of Teddy’s Famous Ice Cream shop in the main town. Even on New Year’s Eve, pier-walkers can be found buying ice cream cones. Teddy’s specialty is the “99”—soft-serve vanilla with a Cadbury’s Flake chocolate bar stuck inside. The next time I’m down at the pier, the wind is stronger and the sea is no longer at rest. 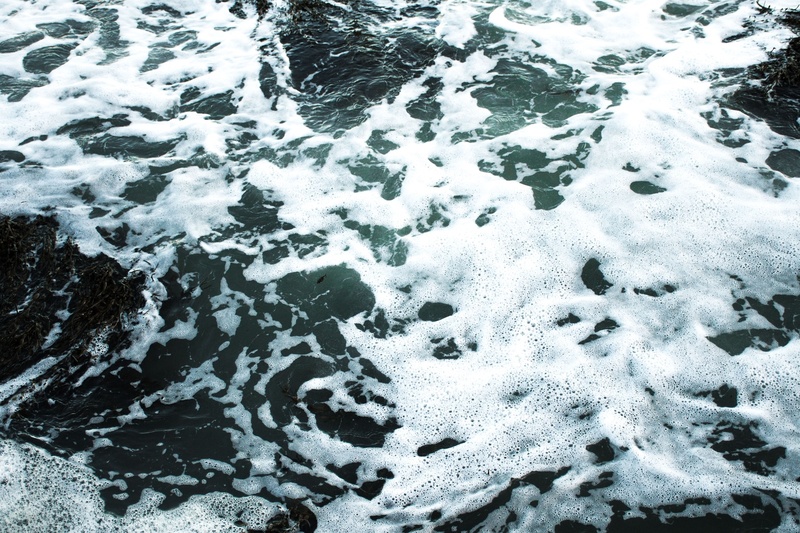 Waves crash and recede into foam along the sea wall. I’m glad I have a friend with me so I can venture a little closer to the tide. My grandfather—my dad’s dad, the one I never met—worked as a deep sea diver on the maintenance of this pier. 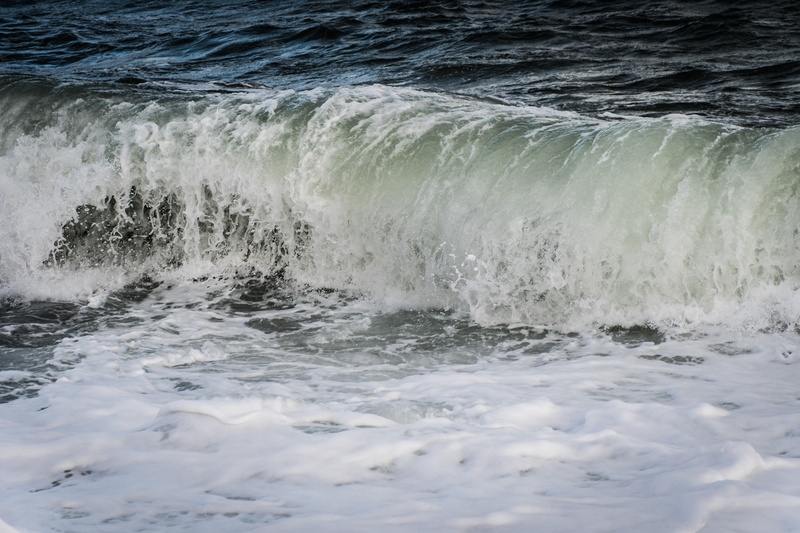 These conditions reveal the sea as a force of nature, elegant but ready to sweep you away at a moment’s notice. 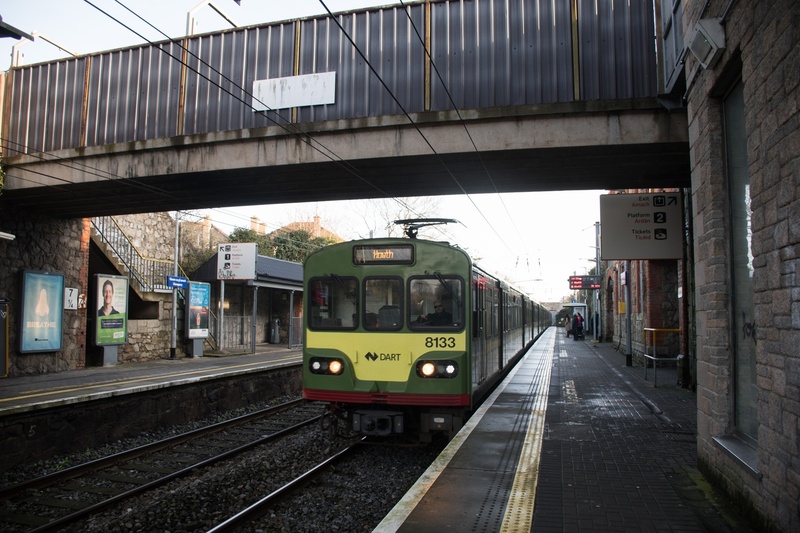 The town I live in is one of several “on the DART line.” The DART (Dublin Area Rapid Transit) runs along the coast, between the seaside towns of Bray and Howth at either end, slicing through the city center somewhere in the middle. 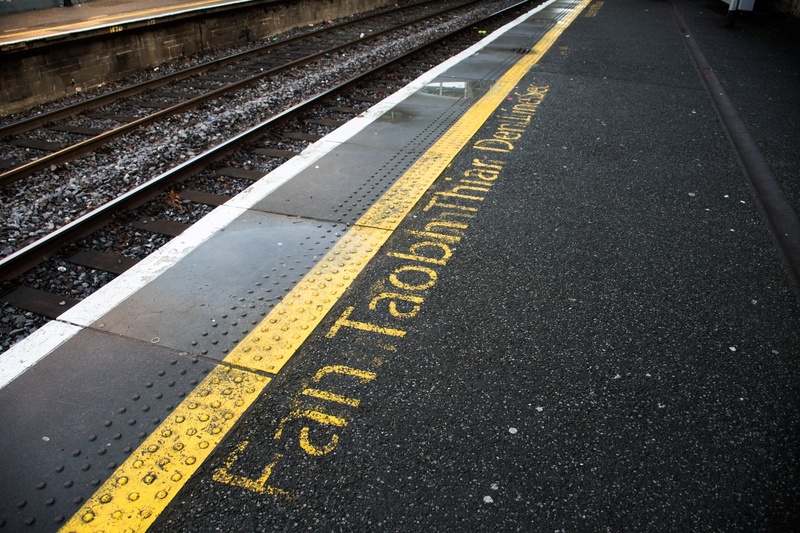 At the stations, like every other piece of official signage in the country, the warning messages to keep clear of the tracks alternate between English and Irish. 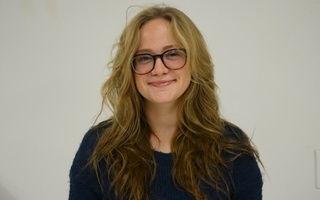 Fan taobh thiar den líne seo. Keep behind this line. 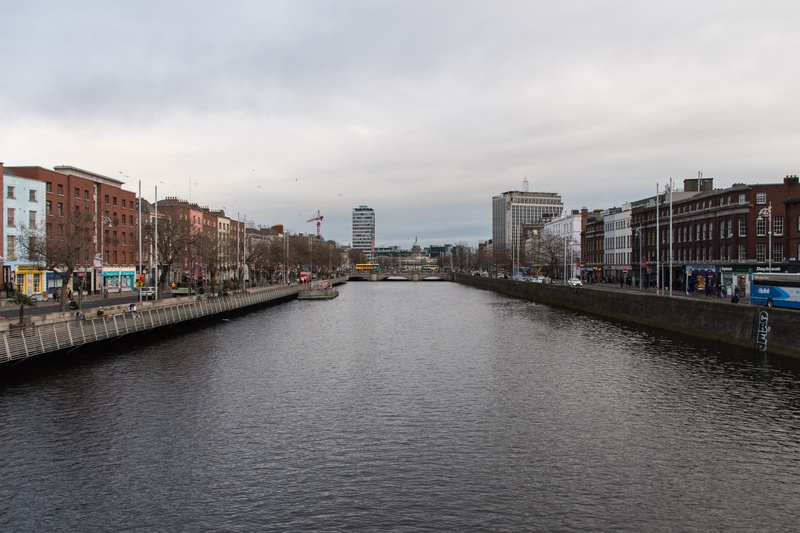 Dublin—both city and county—is divided into North and South by the River Liffey, a body of water far less beautiful than the sea that laps at the shores of Dún Laoghaire. Plenty of stereotypes abound about the North and South sides, but when you’re standing right between them it’s hard to see much of a difference. 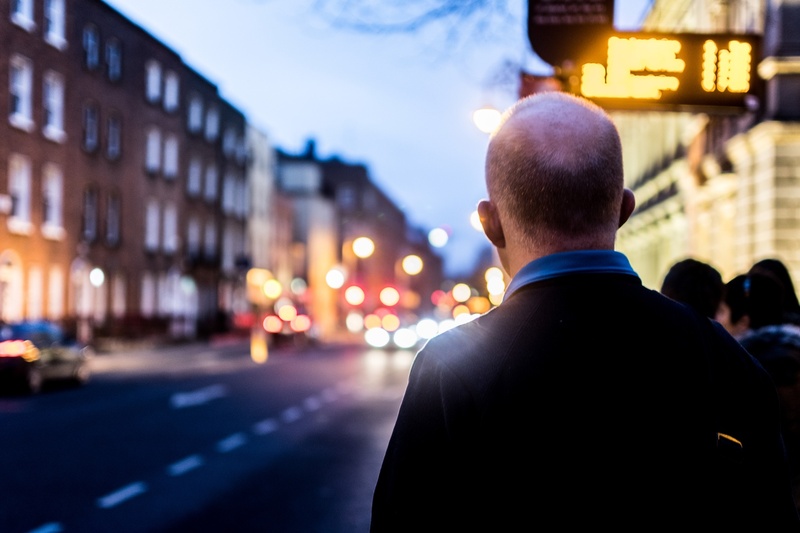 My Dad and I wait for the 46A bus home on Kildare St. I was immensely lucky growing up to live a two-minute walk from this bus route, one of the city’s most frequent and popular. 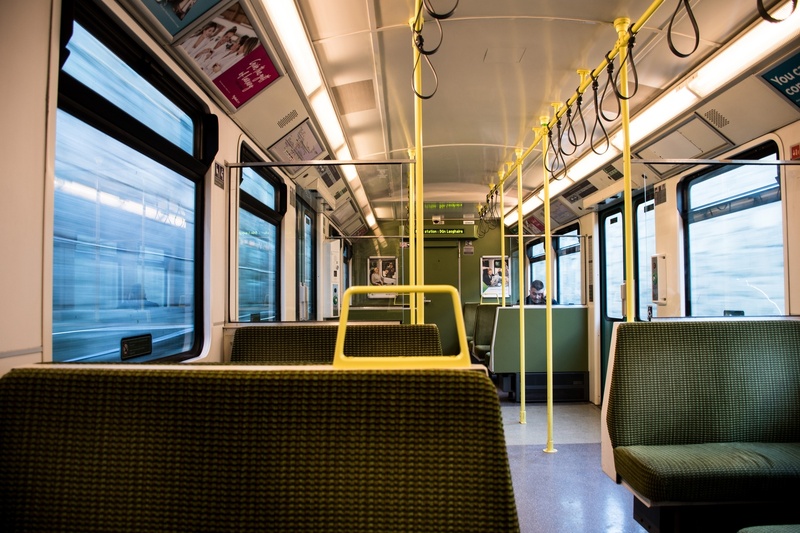 I relied on it in secondary school to meet up with friends from other parts of Dublin on weekends, back in the good old days of one euro fares for under 16s (I begrudgingly pay about thrice that now, a sorry result of both aging and inflation). The 46A hits both major universities in the city in a little under an hour with traffic, so even with my handful of transatlantic flights a year taken into account, I cut my commute times significantly by leaving home. 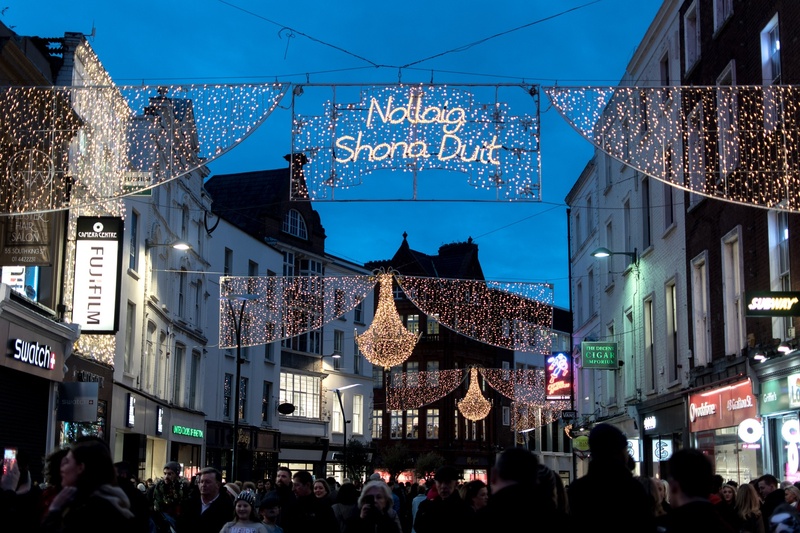 When I left Dublin for Cambridge, there were many things I expected to miss: Cadbury’s chocolate Easter eggs, Irish beef, good Irish butter, the warmth of a cup of Lyon’s tea after getting caught in the rain. I didn’t realize how little I’d care about those things after a couple of years away (except the butter, but that’s one thing I can buy over here), and how much I’d miss the simple act of walking down a stretch of pier or sitting on a double-decker bus. These days, my trips home have become increasingly brief and infrequent, and I don’t get to visit as often as I’d like. I relish more in the little details of this place now, knowing that unlike a bar of chocolate or a cup of tea, I can’t take them with me in my suitcase or buy them in a store halfway around the world.